Metal detecting for coins and relics is a hobby that you can take part in no matter where you live. There is history all around us! The technology used in metal detectors has improved considerably over the past decade. Some of the newer detectors on the market have incredible features yet they are prices very reasonably, making this hobby possible for anyone. These 22 detectors are all good quality units that have discriminating abilities that allow you to seek out the treasure and avoid a lot of the trash. They range from just a couple hundred dollars up to several thousand depending on how serious you want to get. This metal detector has some key features, which makes it highly suitable for coins and relic hunting. One handy feature is once switched on, the detector will have the same settings that you used previously for hunting. This great detector has the ability to measure coin depth to up to 8+ inches and has 8 sensitivity settings for better target precision. It has an electric pinpoint button, which gives it the ability to pinpoint targets more accurately. To do this, press and hold the pinpoint button, keep the detector in contact with the ground and slowly move the coil from left to right, maintaining the same distance from the ground. The user will hear the loudest noise, when the specific target is right beneath the coil. This is a simple technique, however, it requires some practice to understand it thoroughly. With the Garrett ACE 250, the target located will always be in the center of the coil, as long as it’s not an irregularly shaped iron target. Along with the 5 mode options, the ACE 250 also has a custom mode and a relic mode. The custom mode can be used to narrow down the search to specific metal targets and the relic mode is mainly used to eliminate the unnecessary targets, while the user is relic hunting. This is one of the best value for metal detectors on the market at such a reasonable price, also making it one of the best-selling metal detectors of all time. Whites TreasurePro’s lightweight and easy setup makes it an attractive buy for any coin hunter. Along with beach and all-metal mode, TreasurePro has the coin and jewelry mode, which is basically the primary mode for its settings. It can be used especially when you want to reject trash iron objects and only choice targets. The TreasurePro offers 16 rejection ranges, which makes it less time-consuming for the prospector to determine whether it’s a worthy metal or not. TreasurePro has a separate mode/program known as the High Trash. This mode is mostly suitable in areas which have a high concentration of trash. This mode offers a higher level of discrimination and so, makes it easy for the detectorist to search for precious metals in highly concentrated trash regions. What makes the TreasurePro more suitable than many other coin detectors is that it has the ability to record ground minerals in real time. Therefore, the detector can automatically adjust itself to a fixed ground balance. 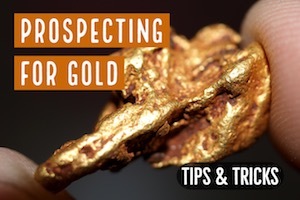 With such a high number of rejection ranges and unique features, TreasurePro is definitely one of the metal detectors that provides a great value for the price. ACE 400 has the Digital Target ID, which ranges from a scale of 0-99. Along with that, it has a frequency range of 10kHZ, which gives it a higher sensitivity in detecting low to medium conductivity metals. With higher frequency range, ACE 400 provides an adjustable frequency feature, to avoid or reduce unwanted interference like from the surroundings or the soil. The ACE 400 has five modes of discrimination, which includes separate modes for coin and jewelry. It has a zero-disc mode, which is used to detect all metal, a jewelry mode, to detect items like necklaces and watches, a coins mode, which is programmed to track U.S and other similar coins, a relics mode and a custom mode. Adding to that, it has a notch discrimination program, in which the discrimination button can be used simultaneously with the elimination button. With this program, you can detect specific metal items and can also discriminate some new unwanted trash that might make a “good” target sound but consistently fall within a certain range. The F75 is lightweight, has a friendly interface and comes with waterproof coil options for hunting in shallow water. Normally, for other metal detectors, an increased level of sensitivity, comes with an increased background noise level. However, the Fisher F75 has a unique technology, know as Digital Shield Technology (DST), which allows the detector to have maximum sensitivity with minimum background noise levels. User can easily activate and deactivate this program, according to their preference. The F75 has four different audio tones. Among the various kinds of audio tones, its fast process is excellent, which improves target separation abilities. Its nest in areas which have high concentration of trash and with this tone, the targets respond with a faster audio duration. The F75 also has a 3 new levels of Fe-Tone (audio). This is basically the kind of iron audio tone the user prefers to hear. If a user wants to especially identify iron, then the user can activate the audio mode, which produces a low-pitched tone, regardless of its signal strength. The other tone is similar to the previous one, however, this mode produces a low volume tone, when iron is detected. The third one makes a very low volume for the iron audio. This Fe-tone makes F75 very much suitable for relic hunting and can even relive user of fatigue after a long day of detecting. F22 is an all type weather-proof metal detector, which makes it tough and durable. Other than the notch mode, which accepts or rejects various kinds of metals based on their category; the F22 has a four different preset modes. It has the jewelry mode, where the iron category is notched out, the coin mode, which notches out iron, foil and aluminum. It has the artifact mode, which enables all the categories of metals to be detected and lastly the custom mode. F22 also has the Fe-tone and can be adjusted with the volume settings. The volume settings basically go from 10-20, silent to maximum noise for the iron targets. The Fe-tone is mostly suitable for relic hunters, who want to hunt for iron-free targets. Regardless of this volume setting, targets other than iron, responds at the maximum volume. It’s rugged, capable of handling any weather conditions and has a 4-tone target identification. The nice variety of features makes it a popular choice for coin and relic hunters. The Vaquero is a quality built metal detector that is extremely light-weight which is excellent for reducing user fatigue. It has a variable threshold adjustment and can be used to detect mainly gold nuggets. It has a 3 ¾ manually adjusted ground balance control. This ground balance control enables Vaquero to tune out the ground mineralizations, which may mask the target’s signal or decrease the detector’s ability, in terms of depth and sensitivity. The Tesoro Vaquero has a 8’’ x 11’’ wide scan search coil, which features RSD (Responsive Signal Design). With the RSD technology in hand, users can easily hunt for prospective at highly mineralized grounds. Wide scan search coils provides better performance in highly trashy areas and may be good at avoiding responses from ground minerals. Users can even adjust the operating frequency with the frequency shift switch, which gives the user opportunities to detect in larger number of areas. The Garrett AT Pro packs a punch, with its all-terrain, all-metal and waterproof features. 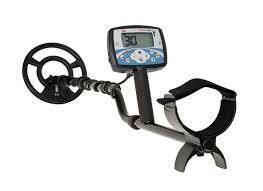 In fact, it is currently one of the best mid-range metal detectors on the market today. Its ability to work effectively on coins, relics, and also gold nuggets makes it an excellent choice for anyone. It is rugged and can undertake detecting in any kind of weather. It is waterproof to up to 10 ft and with its all metal feature, is capable of detecting the smallest of the smallest metals, including tiny gold nuggets. What makes the Garrett AT PRO more unique is the Garrett’s exclusive feature, which allows the use of Iron Audio in an all-metal mode. Different targets respond with a medium tone in the all-metal mode, however, with the iron audio feature, the detector differentiates the ferrous targets from the other targets by producing a low-tone sound. It has the adjustable ground balance window, suitable for areas where single ground balance settings cannot adjust to various ground components. With the ground balance window, the detector adjusts to a ground balance appropriate for a range of values, smoothing out the audio and allowing the user to hear the faint targets. If you want one of the best metal detectors that will find all types of coins and relics for a reasonable price, the AT Gold is a fantastic choice. The Silver uMax is an all-terrain type of metal detector, easy to use, lightweight and economically priced. It is a great choice for starters and can be relied upon to search all kinds of targets like coin, jewelries, nuggets etc. It has two different kinds of operating modes, an all-metal and a discriminate mode. The thing that separates the Tesoro Silver uMax from the other metal detectors, is its ability to search silently and discriminate silently. This relieves the user from fatigue and enables one to prospect for a longer period of time, although this setting does reduce effectiveness on the very smallest of targets. With a lifetime warranty and silent all metal mode and discrimination mode, uMax is strong, silent and very simple to use. The T2 has a simple user interface, much simpler controls and has low operating costs with good battery life. It is one of the detectors, which is great for areas with high mineral content. The Teknetics T2 has the FastGrab automatic cancellation program, which basically measures he magnetic properties of the soil. With this information, the program can then cancel the interference from naturally-occurring ground minerals and control operations in whichever search mode it is in. It has two types of search modes; an all-metal and a discrimination mode, with 4 levels of Fe tone, to discriminate out the iron targets. Along with that, T2 has the Digital Shielding Technology and a Fast Process, which is great for highly trashy areas for sharper response. T2 can detect large coins to up to 12-15 inches in depth and its depth reading program is actually calibrated for coin-sized objects. It’s also a popular gold nugget detector. Some of the key features E-Trac offers is its discrimination abilities. It has the Smart find discrimination pattern, which shows the FE-CO properties of the objects graphically, thereby, providing more accuracy in eliminating or accepting target signals. Along with this, the E-Trac offers the quick mask discrimination pattern, which allows the user to adjust the conductivity and ferrous rejection level. It’s independent of the Smart find discrimination pattern and is very useful, in a sense that it narrows down the search and can be also useful to check the accepted or rejected targets. E-Trac has four modes; coins, high trash, beach and relics. Especially, for beaches, the Minelab E-Trac can be used to detect in extreme salty soils, wet beach sand, sea water and highly mineralized conditions. The Land Ranger is a good entry-level metal detector that can be used for to hunt for a variety of items. It comes with search coils that are waterproof to up to 8 inches and has an interchangeable search coil options. The Land Ranger has a Ground Trac system, which automatically calibrates the detector according to the current soil conditions. It has manual ground balance, which gives the user flexibility between various soil types and hand-on experience as to how to Ground balance a detector. It has 3 discrimination modes: Motion All metal mode, No- Motion all metal mode and the motion all metal mode (this mode switches off the discrimination mode and allows the user to detect with three tone IDs). The Ground Trac system, always keeps the ground contents in check, thereby, making adjustments accordingly. Therefore, it will be useful in areas like farm fields or areas with high mineral content. The GTI 2500 has six search modes, which includes all metal, zero, coins, relics, custom, jewelry and pinpoint mode. It also has Graphic Target Imaging, which allows the user to have information about the true size and depth of the metal, a very useful tool. The treasure vision program, helps in identifying the target’s shapes and helps in predicting the type of metal. Five letters A, B, C, D and E are used to identify the kind of target, for example, size A, are targets smaller than coin, size B are targets of size of U.S coins, rings, small metal trash and so on. This metal detector also has the DSP (Digital Signal Processing) technology, which basically improves the discrimination pattern. With this, provided the accuracy and sensitivity, it adapts quickly to any changes to the speed of the movement and therefore, has the same accuracy at any speed of the detector’s movement. The Garrett GTI 2500 also provides some very useful search aids like the surface elimination and salt elimination. The surface elimination, is basically used to narrow down the search in terms of depth. It is enabled when user wants to eliminate any detection of objects to a specified depth. The salt elimination is, as the name suggests, used in salty regions like beaches, to eliminate interferences from the wetted salts. The Fisher F4 is highly recommended for coin, relic and beach hunting, with its features like auto-tune, 4-tone audio. The auto-tune is ground-balanced in the all-metal mode and provides good sensitivity under all ground conditions. It has a 4-tone audio system, which provides more accuracy in identifying targets. The low-tone is for ferrous objects, the low-mid is for metals like nickel, small gold, the medium tone is for objects like brass and zinc, and the high-tone is for silver and copper coins. It has the Notch mode, which can be adjusted manually or automatically. This mode basically allows the user to eliminate some specific targets from detection. It’s depth indicator is mostly accurate for coin-sized objects and therefore, this metal detector will be great for coin shooting. To identify the target more precisely, the detector has a two-digit target indicator, which provides a specific value of the target. For example, a value between 0-15, is most probably Iron, 28-32, is Nickel and so on. The Go Find is fairly new to the entry-level detector market and offers its user a comfortable detecting experience with its design and easy controls. It’s compact, so it is very much portable and is 20% lighter than the similar detectors. Therefore, with its light weight, users can spend a longer time in the field and it is a great choice for kids. It has the Red and Green Target IDs, which separated the targets and identifies them accurately for the user. The Red target ID indicates iron objects and the Green target ID indicates non-iron objects of various sizes. Along with that, the Go Find offers the Easy-Trak program to its user, where the detector can detect the salt content and minimized the ground interferences, thereby maximizing the target signals. The Go Find 60 has four modes of operation; All metal, reject iron, Coins and coin and jewelry. If the user is in search for coins, with the Go-find app, the user is given an example of pictures of the modern coins he/she has detected. The Minelab GO-FIND 60 is definitely a great metal detector for entry level detectors, for its easy going controls and its affordability. Whites MX Sport is an all-purpose, waterproof metal detector with a DD search coil. The advantage of the DD is that its scans a wider ground compared to other search coils and is not easily affected by highly mineralized grounds. The MX Sport has six search modes: Coin and Jewelry, All metal, Beach, Prospecting, Hi Trash and Relic. MX sport has the automatic ground balance with tracking controls. Basically, the track control, tracks any changes in the mineralization content and adjusts the detector accordingly. This control improves the metal detector’s performance ability and enables to detect targets more precisely. Along with that, the MX Sport offers the salt track feature, which is greatly advantageous in wet salt grounds. It basically programs the detector to search in wet salt grounds more effectively, since wet salt is conductive like a metal target. Salt track can be used for beach hunting and even for relic hunting in heavily wet salt fields, like farm fields. The MX sport has 22 tone audio ID, which provides more information about the target identification. With its ruggedness and amazing features, White’s MX Sport is highly recommended for beach and coin hunting. The CTX 3030 a top of the line metal detector that is compatible in both land and water, being waterproof to up to 10 ft. It has the target trace feature, which shows real time animation and can be used to identify individual targets amongst many items. This is particularly helpful in trashy locations. Along with target trace, CTX 3030 offers target separation, in which users are offered four settings. Low Trash for FE and non-Fe targets, High Trash for again FE, non-FE targets and can be used in areas which have a high density of trash. The FC (Ferrous Coin) is for coin-sized targets for grounds with low mineralization and Ground-Coin for highly mineralized grounds. 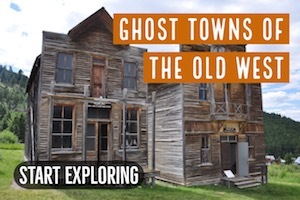 The CTX 3030 also has a very unique GPS locating program. It has GeoHunts, which indicates the ground already covered by the user saving time for the user instead of going around in the same places. It has WayPoint, which stores or saves the point of interests on maps and Findpoint, which stores the location other details of the target. Some other key features of the CTX 3030 are the kinds of technologies it uses. It uses the FBS 2 technology, which allows the detector to find more targets in various ground conditions. Smartfind 2, provides the target identification, with it’s Fe-Co discrimination pattern. Finally, it has the GPSi, which is basically, the technology used for geo locations. The CTX 3030 is currently one of the favorite coin/relic detectors on the market, but it isn’t cheap. It might be worth paying the price if you want one of the best metal detectors available on the market. XP Deus helps reduce the user’s fatigue by providing wireless audio headphones, reducing the weight on the user’s ear and giving them more comfort by not being tethered to the detector. It also has wireless search coils and wireless digital display remote control, allowing efficient power consumption and freedom from wires. The Deus offers four kinds of frequency levels, enabling the user to adapt to various grounds and various kinds of targets. The four kinds of frequencies are 4 Khz, which is used to detect large ferrous and non-ferrous targets, 8 kHz, coins, small targets in low mineralized ground. The next two frequencies, 12 kHz, can be used to detect coins of all sizes, from medium to highly mineralized grounds and 18 kHz, which can be used to detect small coins made up of alloy. With the XP DEUS, users can detect in four ground modes that are, manual, pumping, tracking and beach. It’s weatherproof, has a changeable coil and a long life battery. The XP Dues is currently one of the best metal detectors on the market with superior target separation for coin and relic hunting sites. The X-TERRA 705 comes with Minelab’s proprietary VFLEX technology, which means that only the coils needs to be changed to change the frequency of the detector. This makes it completely unnecessary to get a new detector just to change frequencies, thus saving time and money. In addition, the X-TERRA 705 accepts low, mid and high frequency coils, in fact, all 7 XTERRA accessory coils are compatible with the X-TERRA 705. Along with that, the coils are waterproof, making the X-terra 705 eligible for detection on beaches and riverside. The X-terra 705 has the true automatic ground balance mode, which eliminates the ground interference, thus, enabling the user to hear very small target signals. The automatic/manual ground balancing, tracking with the newly added tracking ground balance offset adjustment offers a significant performance advantage in certain conditions such as wet/dry sand transitions or hot rock areas. This setting is mostly recommended for experienced users. This setting helps in reducing the effect from the hot rocks and compromises between the dry and wet sand (since both require different ground balance settings). X-terra 705 offers two kinds of pinpoint mode to its users: Auto and sizing. The sizing mode, is useful for obtaining the shape and size of the target. It’s highly recommended for coin detecting, because of its various discrimination pattern and for their accuracy. It’s lightweight and multiple settings indeed makes it a great detector for any kind of prospecting. 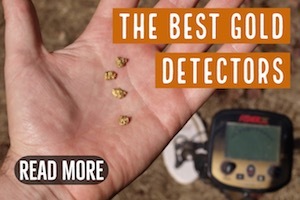 The X-Terra 705 is one of the few truly multi-purpose metal detectors on the market that are equally good at finding gold nuggets as it is for gold hunting by simply changing the coil of the detector. The X-terra 505 has the VFLEX technology, which basically gives the X-terra an excellent level of stability and sensitivity. The analogue circuitry in the detector is replaced by digital signal processing technology and with this, the X-terra is less prone to conditions like electromagnetic interferences and ground mineralization. Along with that, the X-terra 505 is very much compatible with low, medium and high frequency coils, giving the user opportunities to hunt in a variety of scenarios. It also has an adjustable ground balance, which helps the detector in evading the false signals. There are 5 tone ID’s and a good range of discrimination pattern (customized patterns), thereby, making it a fine discriminator for high conductive targets. Furthermore, the X-terra 505 gives the user freedom to control the threshold adjustment, depending on the depth and size of the targets being detected. It has a fast recovery pinpoint and is lightweight, saving user’s time and reducing fatigue. Overall, the X-terra 505 is a great entry-level metal detector for coin and relic hunting. Minelab Safari offers FBS (Full Band Spectrum) technology, which is a multiple frequency detection technology. The frequency range increases and in turn, allows the metal detector more accurate target identification and better sensitivity. On top of that, Safari is extremely light-weight, with Double D waterproof coils. It has easy controls and has four detection modes: Coin, Coin/Jewelry, Relic and All metal mode. Safari offers a trash density feature, allowing the user to optimize detecting in location with various concentrations of trash in soil. The High trash density mode, is the most common mode, used in areas mainly with coins and relic content, and low trash density mode is used in clean areas like the beaches. This allows the user to narrow down the search and the discriminate pattern, providing precise target identification. It is sturdy, well-built design and has a noise cancellation program, which automatically chooses the most stable, quietest operating frequency. 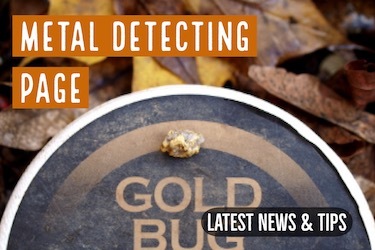 The key feature, which makes the Gold Bug very unique, is its ability to detect extremely small gold targets. The gain can be adjusted according to detection preferences and soil conditions. The gain basically increases the strength of the signals from the metal objects. To detect the smallest or deeply buried objects, increase the gain and to minimize the weakest signals, reduce the gain. This can be advantageous since, the false signals can be low in strength and ignored. The Gold Bug is a lightweight metal detector and is very comfortable to swing all day, particularly when using the small 5” round coil. The Gold Bug has two search modes: All metal and discriminate mode and has an operating frequency of about 19 kHz. Along with that, the Gold Bug has a no-motion pinpoint mode and ground grab computerized ground balance, which sets the internal settings of the detector equal to the phase of the ground. This allows for target detection of deeply buried targets, accurate target identification and much smoother operation. Also Read: Fisher Gold Bug, Gold Bug Pro, and Gold Bug DP. What’s the difference? White’s MXT is highly recommended for coin and relic hunting because of its easy controls and its comfort. It has 3 pre-programmed search modes and each mode provides different audio frequencies, screen information and target responses. 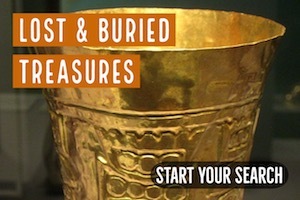 The 3 kinds of search modes are Relics, Prospecting and Coins/Jewelry. The coin and relic mode provides five different indications on the display, whereas, the prospecting mode changes the display information (Gives the VDI, Ion target and GND). Along with this, White’s MXT has an automatic ground balance and 3-easy to adjust controls: Gain, to increase the sensitivity to hear faint or deeply buried targets, Threshold, which also includes silent search and Dual control functions, which operate as a Self Adjusting Threshold (SAT) in the Prospecting Mode, controlling the inconsistencies of the ground and threshold. In the Coin and Jewelry mode, the Dual control functions operate as a DISC mode. The MXT has the TRAC Toggle setting, which basically selects the kind of ground mineral rejection required and also provides automatic tracking to ground mineral changes optimal for that certain area. 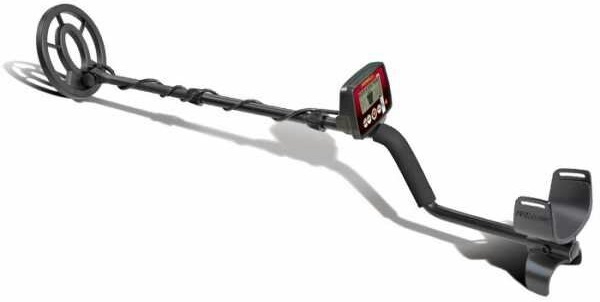 The MXT is a good multi-purpose metal detector that works quite well for gold nuggets as well as coins and relics. 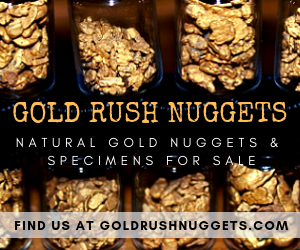 It’s a good choice for those who have the opportunity to hunt for gold.